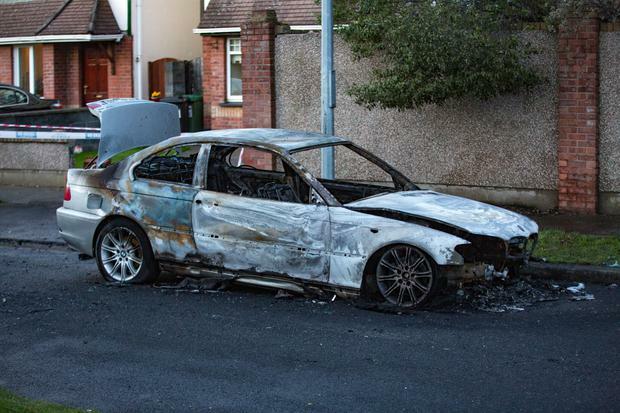 A burnt out car on Saddlers Drive after a shooting incident at Blakestown Road, Dublin 15. 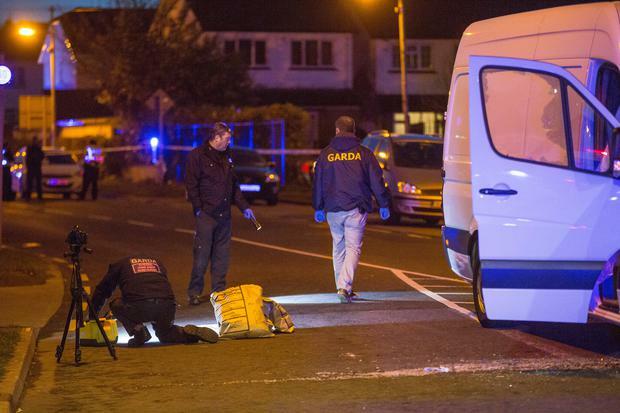 A man in his 20s is in a critical condition after being shot in west Dublin this evening. The victim was approached by a gunman and shot at least once as he sat in his van in the Briarwood area. The incident happened shortly after 5pm and the suspect then fled the scene in a silver BMW 3 Series car which was found burnt out a short distance away at Saddlers Drive. Armed gardai have flooded the area while paramedics treated the victim at the scene. The victim is originally from the area and gardai at this stage are treating the shooting as targeted. The brother of the victim is said to have been in “hysterics” in the direct aftermath of the shooting. “He kept shouting “My brother has been shot. My brother has been shot,” said a local resident. “I live just around the corner from Blakestown and heard about four very loud gun shots. “When I came out of my house I saw a large crowd of people surrounding the man, who was bleeding very heavily from the side of his body. Another local resident told Independent.ie that this is the second shooting to take place in Blakestown in recent months. “Eric Fowler was fatally shot in December just up the road from here,” she said. “It’s ridiculous how bad things are getting. Just five minutes away in Saddlers, Mulhuddart a number of children witnessed the man, who is linked to the shooting, torch his car. “A lot of people came out of their homes because when your man set his car on fire, the horn started blaring. “We all saw him run out of the estate on foot and many people recorded it on their phones. He was a young man wearing a tracksuit, but I couldn’t see his face because he had his hood up. Gardai have issued an appeal for any witnesses to come forward, and also those that may have dash-cam footage. 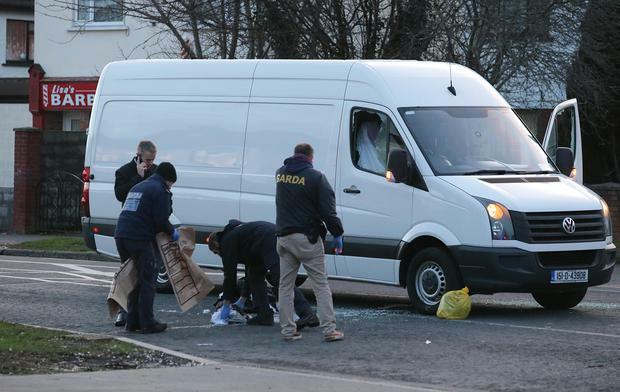 In a statement issued this evening, a garda spokesperson said: "Gardaí investigating a shooting incident in Dublin 15 on 6th March 2019 are appealing for witnesses. Gardaí and emergency services were called to the scene on Blakestown Road, Dublin 15 shortly after 5pm. "A man in his 20s was traveling in a vehicle on Blakestown Road when he was shot a number of time. The injured man was taken to Connolly Hospital Blanchardstown where he is being treated for gunshot wounds. "A silver BMW 3 Series car was later discovered on fire at Saddlers Grove, Mulhuddart. Gardaí believe that this car was involved in the shooting. "Both areas have been sealed off and a technical examination is being carried out by Garda Crime Scene Examiners. "We are appealing for anyone who was in the Blakestown Road or the Saddlers Grove area between 4.30pm and 5.30pm to contact us. We are also appealing for anyone who was driving in the area and may have dash-cam footage to contact us. "